Summer may not officially kick off for another month, but don’t let the cloudy skies put a damper on the summer concert season, which is well on its way to being one of the best we’ve seen in years. Folk, electronic, and everything in between gets equal representation in Portland, so grab a fanny pack and tune up that bike... you’re going to want to hit most (if not all) of these incredible shows. Sir Mix-A-Lot After an illustrious career spanning three decades, we’re still only sure of three things regarding Sir Mix-A-Lot: He likes big butts, he can’t lie, and he can’t turn down the piles of cash Portland pays him to show up every six months and remind us he’s still touring. Sir Mix-A-Lot Tom McCall Waterfront Park After an illustrious career spanning three decades, we’re still only sure of three things regarding Sir Mix-A-Lot: He likes big butts, he can’t lie, and he can’t turn down the piles of cash Portland pays him to show up every six months and remind us he’s still touring. Future Chart-topping Atlanta trap king Future is sure to roll out all the hits this June. Show up early for Migos, who’s latest addition to the Rap Snacks portfolio is lit af, fam. Future Sunlight Supply Amphitheater Chart-topping Atlanta trap king Future is sure to roll out all the hits this June. Show up early for Migos, who’s latest addition to the Rap Snacks portfolio is lit af, fam. What the Festival Don’t let the WTFestival’s promotional literature (that it’s a “premiere boutique festival”) scare you. This chill EDM fest that’s connected by a giant wading pool is basically the opposite of Fyre Festival. If the idea of bouncing up and down to Cut Copy on a farm in rural Oregon doesn’t excite you, it’s time to reassess your personal values. What the Festival Wolf Run Ranch (Dufur) Don’t let the WTFestival’s promotional literature (that it’s a “premiere boutique festival”) scare you. This chill EDM fest that’s connected by a giant wading pool is basically the opposite of Fyre Festival. If the idea of bouncing up and down to Cut Copy on a farm in rural Oregon doesn’t excite you, it’s time to reassess your personal values. Tool You don’t need to be a fan of this longstanding prog metal powerhouse to get excited about the idea of seeing lasers and macabre imagery shot out of a stage overlooking the Columbia River Gorge. 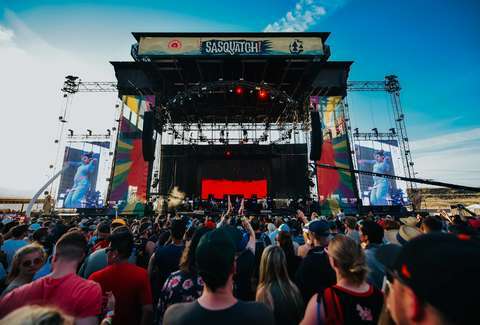 Tool Gorge Amphitheater (George, WA) You don’t need to be a fan of this longstanding prog metal powerhouse to get excited about the idea of seeing lasers and macabre imagery shot out of a stage overlooking the Columbia River Gorge. The Shins Natalie Portman may have been wrong about the Shins changing your life, but their recently released album Heartworms is solid proof that James Mercer’s winning blend of Americana and folk-pop still holds up well after Garden State gave them the spotlight they rightfully earned. 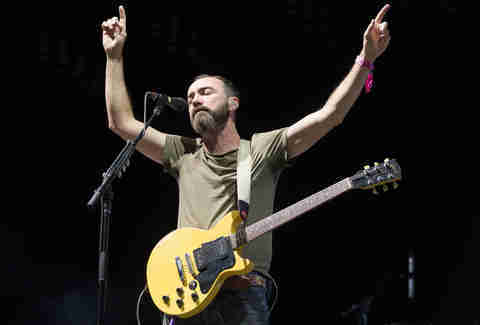 The Shins Edgefield Natalie Portman may have been wrong about the Shins changing your life, but their recently released album Heartworms is solid proof that James Mercer’s winning blend of Americana and folk-pop still holds up well after Garden State gave them the spotlight they rightfully earned. Seu Jorge Remember the guy who sang Bowie covers in Portuguese throughout The Life Aquatic? Here’s your chance to sing (and cry) along with them in the flesh. Seu Jorge Oregon Zoo Remember the guy who sang Bowie covers in Portuguese throughout The Life Aquatic? Here’s your chance to sing (and cry) along with them in the flesh. Ziggy Marley Now that Bob Marley’s likeness is being used to sell everything from blunt wraps to iced tea, it’s a great time to look to his progeny for the authentic soul and spirit of what the reggae legend left behind. Ziggy Marley Edgefield Now that Bob Marley’s likeness is being used to sell everything from blunt wraps to iced tea, it’s a great time to look to his progeny for the authentic soul and spirit of what the reggae legend left behind. John Prine At the tender age of 70, the magic of Americana hero John Prine’s voice has only gotten better. He’s already fought and won a battle with cancer once, and he’s still touring. Be sure to not miss this one. John Prine Oregon Zoo At the tender age of 70, the magic of Americana hero John Prine’s voice has only gotten better. He’s already fought and won a battle with cancer once, and he’s still touring. Be sure to not miss this one. Tycho Dreamy electro pop is rarely a thing of marvel in a live setting, but the combo of Tycho’s live band setup and frontman Scott Hansen’s mastery of warm and trippy visuals set his group apart from the pack of laptop-toting chillwavers who might as well be hitting play on iTunes and checking email from their perch on the stage. Tycho Edgefield Dreamy electro pop is rarely a thing of marvel in a live setting, but the combo of Tycho’s live band setup and frontman Scott Hansen’s mastery of warm and trippy visuals set his group apart from the pack of laptop-toting chillwavers who might as well be hitting play on iTunes and checking email from their perch on the stage. Ryan Adams Every critic’s favorite alt-country superhero has mellowed out a bit since taking a sincere crack at covering Taylor Swift’s superhit 1989 song-for-song, but it’s still against your best interest to shout “Summer of ‘69” while the notoriously cantankerous Adams tunes his own guitars between songs. Ryan Adams Edgefield Every critic’s favorite alt-country superhero has mellowed out a bit since taking a sincere crack at covering Taylor Swift’s superhit 1989 song-for-song, but it’s still against your best interest to shout “Summer of ‘69” while the notoriously cantankerous Adams tunes his own guitars between songs. Portland Waterfront Blues Fest With rent and traffic reaching a breaking point, there’s plenty to be blue about in the Rose City. Air out your sadness by spending four days watching a slew of guys with two first names (Chris Isaak, Dexter Allen, etc) rip through pentatonic scales on guitars that are worth more than your Subaru. Portland Waterfront Blues Fest Tom McCall Waterfront Park With rent and traffic reaching a breaking point, there’s plenty to be blue about in the Rose City. Air out your sadness by spending four days watching a slew of guys with two first names (Chris Isaak, Dexter Allen, etc) rip through pentatonic scales on guitars that are worth more than your Subaru. Blondie and Garbage Offering two very different sides of the same coin, this superwoman-stacked lineup is all the proof you need to conclude that the past, present, and future of post-punk lies in our species’ better half. Blondie and Garbage Edgefield Offering two very different sides of the same coin, this superwoman-stacked lineup is all the proof you need to conclude that the past, present, and future of post-punk lies in our species’ better half. NW String Summit There’s more to bluegrass than that mystery cover of “Gin & Juice” that’s been hilariously mislabeled ever since it made its rounds on Napster way back when, but it sure is a good start! Continue your adventures at this gloriously crunchy celebration of all things twangy, and try your best to not buy a mandolin on Amazon on your way out of the gate. NW String Summit Horning’s Hideout (North Plains) There’s more to bluegrass than that mystery cover of “Gin & Juice” that’s been hilariously mislabeled ever since it made its rounds on Napster way back when, but it sure is a good start! Continue your adventures at this gloriously crunchy celebration of all things twangy, and try your best to not buy a mandolin on Amazon on your way out of the gate. Harefest 7 What’s better than seeing the reanimated corpses of hair metal legends like Poison and Motley Crue? Seeing dudes several years their junior do it faster and harder over the course of two days in a field in Canby. Harefest 7 Canby What’s better than seeing the reanimated corpses of hair metal legends like Poison and Motley Crue? Seeing dudes several years their junior do it faster and harder over the course of two days in a field in Canby. Matchbox Twenty, Counting Crows As annoyingly as ubiquitous as these two bands’ music was 20 years ago, brief revisitations of their deeper cuts that got left in the rubble prove that they were as huge as they were for good reason. Seriously, “Angels of the Silences” still bangs. Matchbox Twenty, Counting Crows Sunlight Supply Amphitheater As annoyingly as ubiquitous as these two bands’ music was 20 years ago, brief revisitations of their deeper cuts that got left in the rubble prove that they were as huge as they were for good reason. Seriously, “Angels of the Silences” still bangs. PDX Pop Now! Part music fest, part afterschool special, it doesn’t get much more Portland than a sweaty weekend of free music under a bridge down by the Willamette River. PDX Pop Now! Audio Cinema Part music fest, part afterschool special, it doesn’t get much more Portland than a sweaty weekend of free music under a bridge down by the Willamette River. Portugal. The Man Portland is happy to claim this group of ex-Alaskan folk pop wizards as their own, which makes sense considering the founding members moved here just when our indie folk scene was catching fire on a national level. Portugal. The Man Edgefield Portland is happy to claim this group of ex-Alaskan folk pop wizards as their own, which makes sense considering the founding members moved here just when our indie folk scene was catching fire on a national level. "Weird Al" Yankovic Yankovic’s poignantly spastic medleys of reimagined pop culture swill have been helping nerds "get weird" for three decades, and it’s high time the master has finally earned his due. "Weird Al" Yankovic McMenamins Edgefield Yankovic’s poignantly spastic medleys of reimagined pop culture swill have been helping nerds "get weird" for three decades, and it’s high time the master has finally earned his due. Echo & the Bunnymen, Violent Femmes This pairing may have been unimaginable 30 years ago when both groups were nearing their prime, but the mere fact that they’re still upright and capable is a just cause to celebrate with a night of dreary proto-shoegaze and angsty alt-folk while a cadre of zoo animals wonder what the hell is going on in the background. Echo & the Bunnymen, Violent Femmes Oregon Zoo This pairing may have been unimaginable 30 years ago when both groups were nearing their prime, but the mere fact that they’re still upright and capable is a just cause to celebrate with a night of dreary proto-shoegaze and angsty alt-folk while a cadre of zoo animals wonder what the hell is going on in the background. Pickathon Labeled by locals as a festival-haters paradise, this NPR-approved happening on a farm in Clackamas is about as quaint as it gets. If taking the MAX to mosh to Ty Segall in a barn in the woods isn’t the polar opposite of Coachella or Bonnaroo, then we don’t want to know what is. Pickathon Pendarvis Farm (Happy Valley) Labeled by locals as a festival-haters paradise, this NPR-approved happening on a farm in Clackamas is about as quaint as it gets. If taking the MAX to mosh to Ty Segall in a barn in the woods isn’t the polar opposite of Coachella or Bonnaroo, then we don’t want to know what is. AFI and Circa Survive Regardless of age, 9 out of 10 emo survivors can agree that a raging circle pit with AFI frontman Davey Havok hovering overhead is much less brutal for your aging bones on a grassy lawn than in the harsh confines of a venue like the Roseland. AFI and Circa Survive Edgefield Regardless of age, 9 out of 10 emo survivors can agree that a raging circle pit with AFI frontman Davey Havok hovering overhead is much less brutal for your aging bones on a grassy lawn than in the harsh confines of a venue like the Roseland. 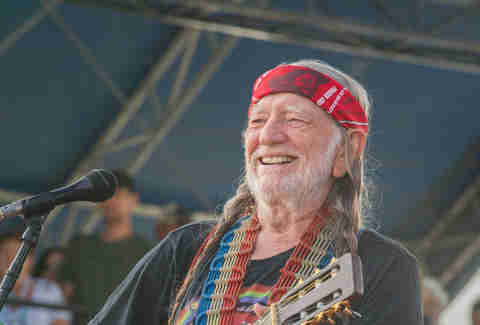 Willie Nelson Weed’s been legal for two years now, so you may have to figure out a new slogan to shout between songs at this one. Willie Nelson Edgefield Weed’s been legal for two years now, so you may have to figure out a new slogan to shout between songs at this one. Primus and Clutch Pack an extra battery for that vape pen, because these freak funk pioneers have been known to jam for hours on recent tours. Primus and Clutch Edgefield Pack an extra battery for that vape pen, because these freak funk pioneers have been known to jam for hours on recent tours. Blind Pilot Portland ain’t the bearded folk dude paradise it once was, but Blind Pilot is doing their part in keeping the fire alive on last year’s And Then Like Lions. Blind Pilot Oregon Zoo Portland ain’t the bearded folk dude paradise it once was, but Blind Pilot is doing their part in keeping the fire alive on last year’s And Then Like Lions. MusicfestNW Presents Project Pabst Once again the fine folks at Pabst and Willamette Week have brought us a wonderfully bizarre juxtaposition of multi-generational headliners, with living meme machine Father John Misty and (barely) living punk rock curio piece Iggy Pop topping a very exciting bill. MusicfestNW Presents Project Pabst Tom McCall Waterfront Park Once again the fine folks at Pabst and Willamette Week have brought us a wonderfully bizarre juxtaposition of multi-generational headliners, with living meme machine Father John Misty and (barely) living punk rock curio piece Iggy Pop topping a very exciting bill. Incubus and Jimmy Eat World Pardon me while all the feelings of being a disenfranchised tween come rushing back in one wild, funky burst. Incubus and Jimmy Eat World Sunlight Supply Amphitheater Pardon me while all the feelings of being a disenfranchised tween come rushing back in one wild, funky burst. Conor Oberst and M. Ward Oberst has all but abandoned the prickly emo prince wailing that made him a household name for girls with shotgun blast haircuts 15 years ago, but his newfound obsession with country music might take an interesting twist now that he’s angry at nothing in particular again. Conor Oberst and M. Ward Oregon Zoo Oberst has all but abandoned the prickly emo prince wailing that made him a household name for girls with shotgun blast haircuts 15 years ago, but his newfound obsession with country music might take an interesting twist now that he’s angry at nothing in particular again. Fleet Foxes Between his quasi-beef with former drummer Josh Tillman, aka Father John Misty, and his odd Instagram exchange with Dirty Projectors frontman Dave Longstreth, it’s safe to say that Robin Pecknold is tiptoeing dangerously close to the point of no return. Soak up some tracks from their forthcoming third album while you can, because Pecknold’s universe of perfect harmonies and beard dude messiah status may be nearing its logical end. 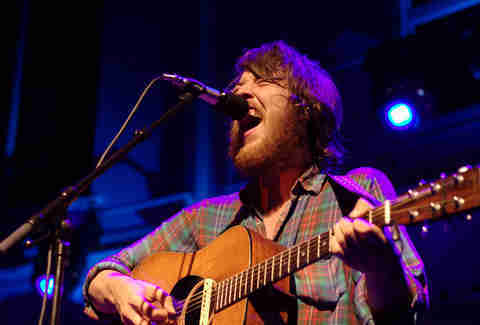 Fleet Foxes Edgefield Between his quasi-beef with former drummer Josh Tillman, aka Father John Misty, and his odd Instagram exchange with Dirty Projectors frontman Dave Longstreth, it’s safe to say that Robin Pecknold is tiptoeing dangerously close to the point of no return. Soak up some tracks from their forthcoming third album while you can, because Pecknold’s universe of perfect harmonies and beard dude messiah status may be nearing its logical end. Mac DeMarco One day we’ll look back on this Canadian slacker hero and realize he was the millennial answer to Jimmy Buffett, but until then let’s all don our finest thrifted Tommy Bahama shirt and soak up the vibes, man. Mac DeMarco Oregon Zoo One day we’ll look back on this Canadian slacker hero and realize he was the millennial answer to Jimmy Buffett, but until then let’s all don our finest thrifted Tommy Bahama shirt and soak up the vibes, man. Pete Cottell is a Portland-based freelance writer.